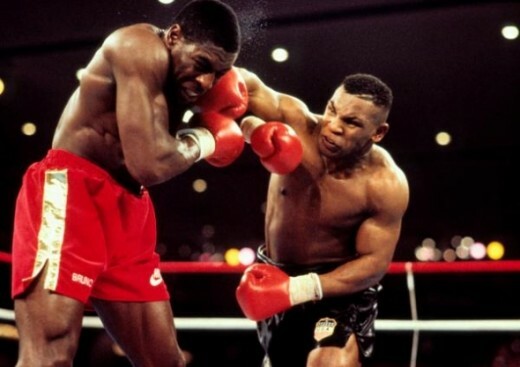 Mike Tyson is considered one of the most notorious boxers of all times. 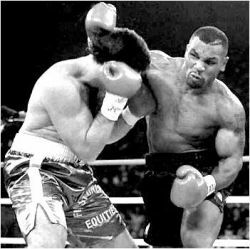 Tyson's knockouts are known as the most ferocious knockouts in prizefighting history, with a record of 50 wins, 44 KO's and 6 losses. His incredible hand speed and accuracy compined with his vicious punching power earned him the World Boxing Council heavyweight title in 1986, making him the youngest champion ever. Michael Gerard "Mike" Tyson (born June 30, 1966) is a retired American boxer. 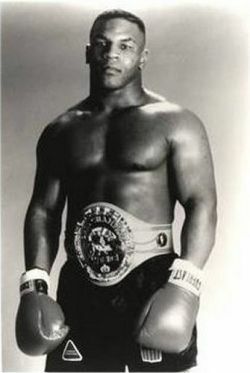 Tyson was the undisputed heavyweight champion and holds the record as the youngest boxer to win the WBC, WBA and IBF world heavyweight titles. He won the WBC title when he was 20 years, 4 months and 22 days old, after defeating Trevor Berbick by a TKO in the second round. 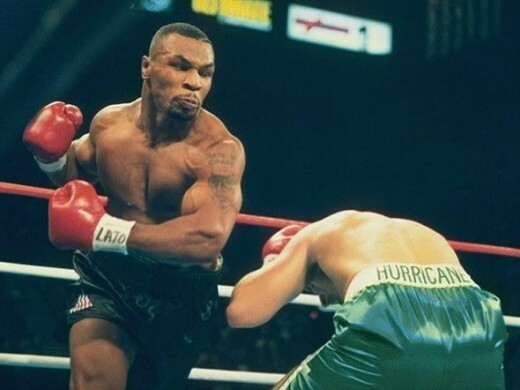 Throughout his career, Tyson became well-known for his ferocious and intimidating boxing style as well as his controversial behavior both inside and outside the ring. He was the first heavyweight boxer to hold the WBA, WBC and IBF titles simultaneously. Tyson is considered to have been one of the greatest heavyweight boxers of all time. 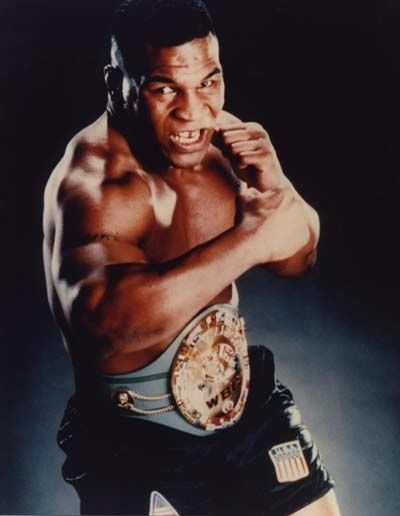 Mike Tyson had several nicknames, like the "Kid Dynamite", "Iron Mike" and "The Baddest Man on the Planet". He unified the belts in the splintered heavyweight division in the late 1980s and won many of his fights by knockout. He knocked out most of his first twenty professional opponents no later than the third round, and fifteen in the first, with the exceptions being his fights with Mike Jameson and Jesse Ferguson, who were defeated in the fifth and sixth rounds respectivily. 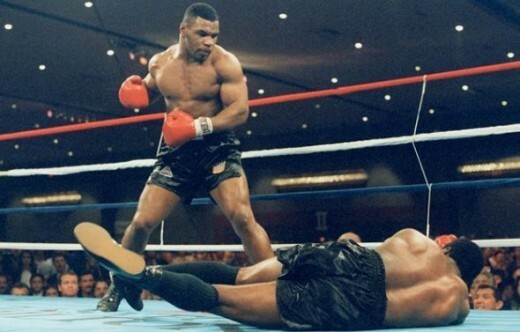 Tyson was an Animal loved his fights at one point unstoppable. Tyson Vs Ali ? Tough call but I'd love to see the fight! I must admit my guilty pleasure is boxing, my dad was a boxer in his day, so i was brought up around the gyms, We would watch Tysons fights over and over, he was so exciting, and a mean machine. Great lens discussing on one of the best boxer in the world! Woah! 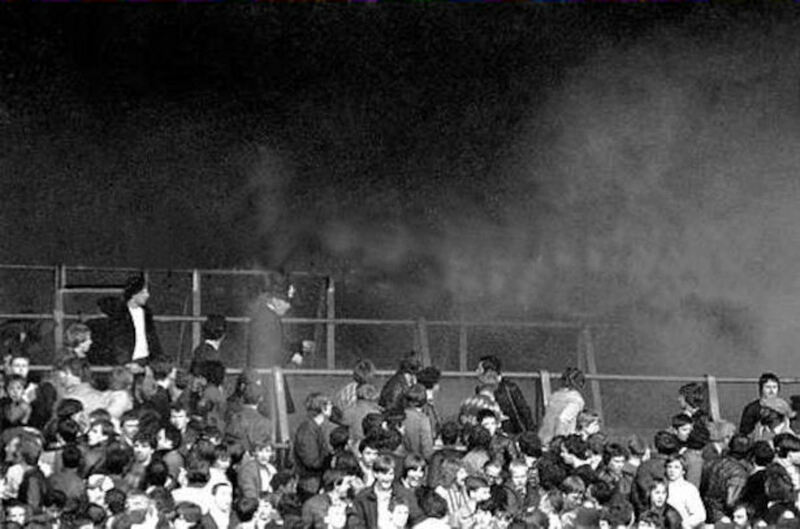 You wouldn't want to be in the way when Mike throws a punch at you!! Yes this is a killer lens. I am still a fan of Mike Tyson. I'd give anything to see him in the ring professionally again.